Our drain cleaners are available 7 days a week to help with any clogged drain issues you may be having in your Atlanta area home. Our drain cleaners can work on sewer main clogs, clogged toilets, and much more. 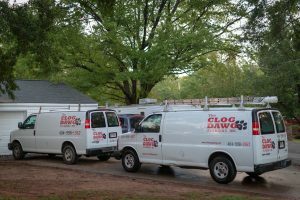 Any type of clogged drain or drain cleaning service that you need, The Clog Dawg can handle. 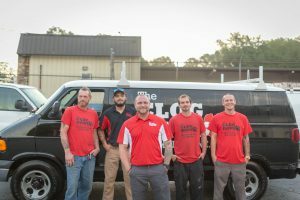 The Clog Dawg plumbers offer drain cleaning with rooter services. In the original days of plumbing, the “roots” of trees caused a great deal of sewer blockages. Now “rooter’ services can be considered a catch all for clearing your drain and sewer lines. The Clog Dawg plumbers’ rooter equipment will not damage your sewage or drainage line, but will remove grease, soap, mineral, and other build up from your pipes. When using a rooter,The Clog Dawg plumbers are able to differentiate the size of the rooter to match the pipe size of your plumbing system. 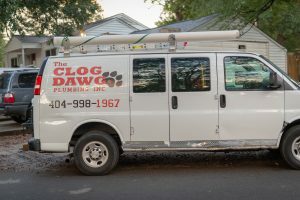 If a rooter does not remove the drain blockage, then The Clog Dawg plumbers will explore alternative methods to unclogging a drain- like hydro jetting. All equipment used by The Clog Dawg Plumbing is guaranteed to remove all drain clogs, grease, and debris buildup from your plumbing system, in the most environmentally safe way. The toilet is clogged and a plunger is not doing the job, you will need to hire a professional out to clear whatever is causing the back up or blockage. Dirty diapers, Q-tips, and Kleenexes are not designed to be flushed down toilets, and when flushed it can cause the toilet to clog. Kids also sometimes flush things down the toilet that don’t belong, such as toys, and when that happens, our plumbers can help you with the toilet clog. Our drain cleaners and plumbers can help with any type of drain cleaning situation. 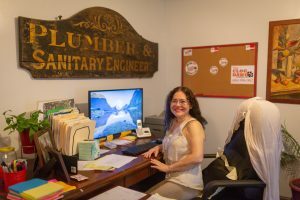 If you are in need of an Atlanta toilet replacement, we can provide you with a new toilet from our current inventory, and an experienced plumber from our team will perform the toilet installation. The Clog Dawg Plumbing provides toilet installations for any kind of toilet in your home or business location. Have a drain or toilet clog in the Atlanta Metro or Cobb County?